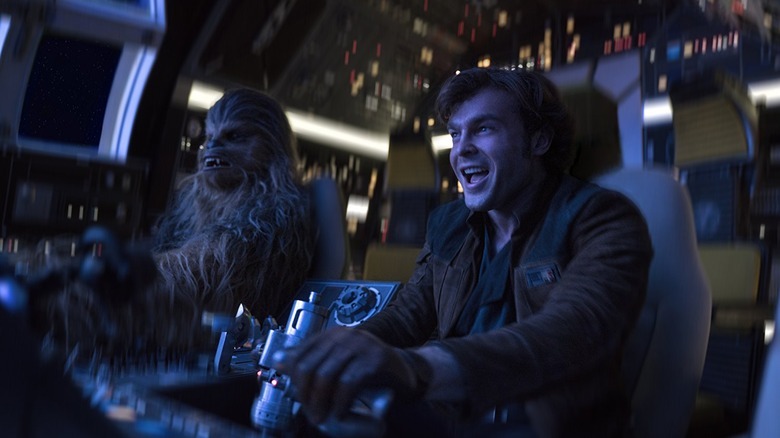 Solo: A Star Wars Story flew a little low at the weekend box office, bringing in just $103 million over the four-day Memorial Day frame. This is a huge drop from early tracking, which had the movie bringing in $170 million, and even from estimates heading into the weekend, which predicted it would bring in between $130 and $140 million. It also marks the lowest opening of Disney's Star Wars films, below even Rogue One: A Star Wars Story, the franchise's first standalone film. 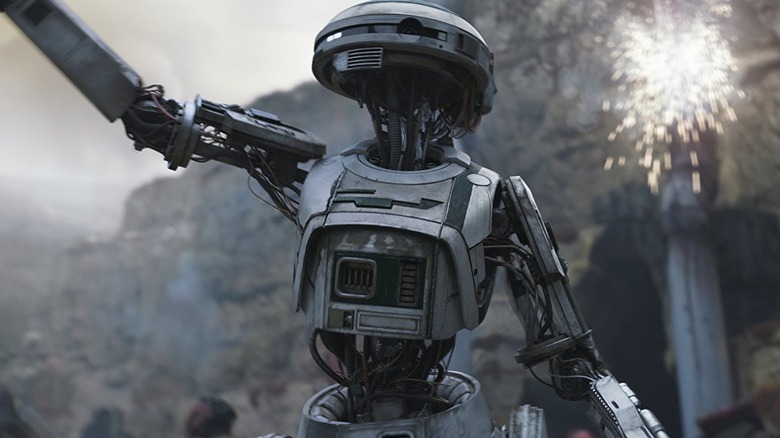 Rogue One had the benefit of a high-profile December release, but Solo still should have been able to top it thanks to the well-recognized character at its center. Telling the origin story of the smuggler played by Harrison Ford in the original trilogy with Alden Ehrenreich playing the title character, the film should have been able to capitalize on its fan favorite's history to become a huge box office draw. There are a lot of factors that contributed to Solo's disappointing box office performance, though — here's a look at the real reasons the film didn't perform as well as expected. 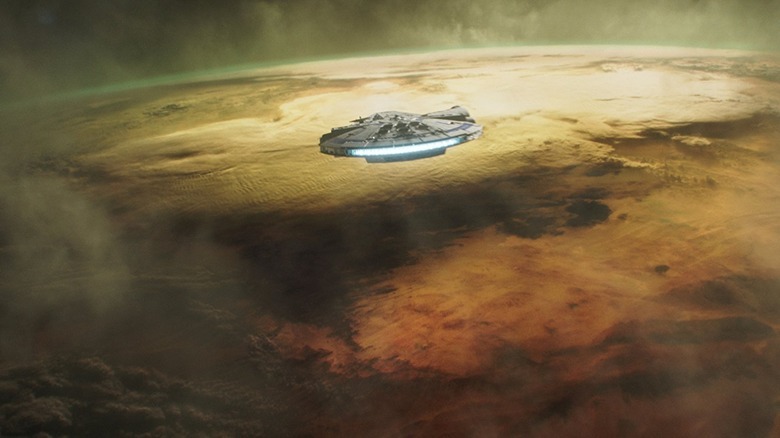 Solo was the fourth film to come out of the new phase of the Star Wars franchise, and it was the first not to hit theaters over the December holidays. While this may have led to a diminished opening weekend in and of itself, it also meant that the movie hit theaters just five months after the release of the massively profitable Star Wars: The Last Jedi, marking the shortest window between the release of two Star Wars films to date. This may have contributed to some franchise fatigue. While the trilogy films have build-up to bring fans in no matter when they come out, the standalone films have to find a way to make themselves seem like must-see entertainment. This is easier to do when you're Rogue One, coming out a full year after the last Star Wars film. However, for Solo, it may have been hard to drum up interest, especially when The Last Jedi was still playing in some theaters just over a month before Solo's release. Audiences don't seem to be tiring of Star Wars yet, but the need to see the newest film over its opening weekend is likely diminished when it's been just a few months since the last. 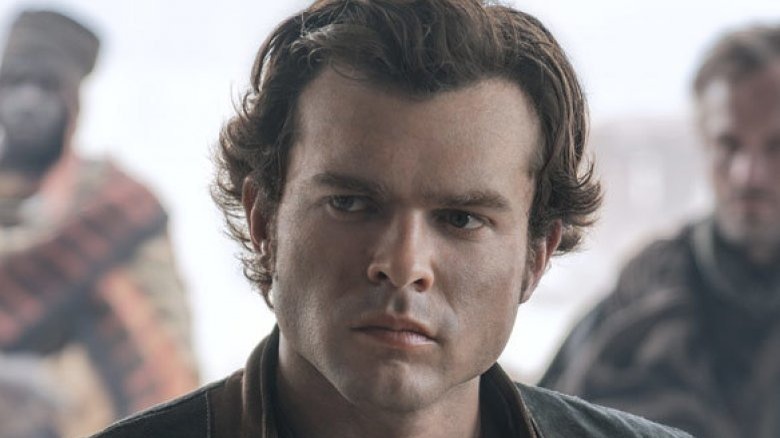 Alden Ehrenreich landed the dubious task of trying to live up to Harrison Ford's iconic portrayal as Han Solo, and although some people have praised his performance, others don't think he quite lives up to his predecessor. Part of this, some critics note, could be attributed to the script, which shows off a much more optimistic version of Han Solo than the one audiences came to know and love in the original trilogy. However, it could also be in part due to Ehrenreich's performance. Despite rumors that the star needed an acting coach on set, he wound up coming across as charming and fun — but also different from Ford's version of the character. While it was probably smart for the actor not to try to do a direct impression, it still might give some fans pause to see this performance in an origin story for a character so familiar. There's not much that can be done to fix this problem, but if Lucasfilm wants to continue making prequel films for its most popular Star Wars characters, they'll have to find a way to seamlessly bring new actors into the fold. 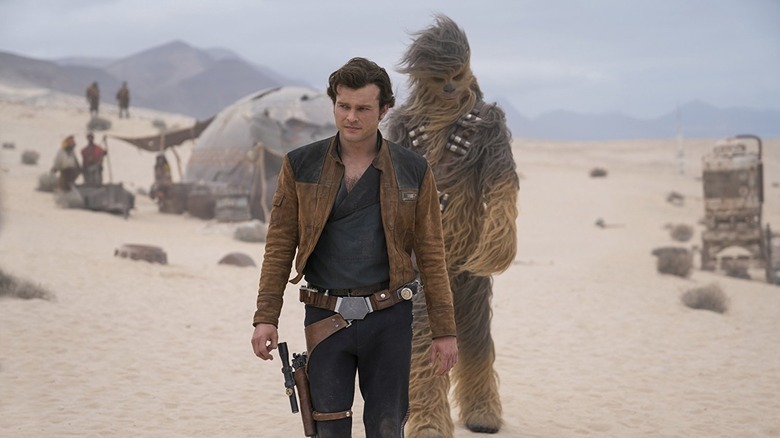 Good press is key to a movie's success, and Solo was plagued by negative rumors after a rocky production, including the firing of directors Phil Lord and Christopher Miller just a few weeks before the end of production. The conflict reportedly came due to creative differences with Lucasfilm, with Lord and Miller said to have encouraged more improvisation and a different tone than the company wanted for the movie. The shake-up was widely discussed in the press, and it was a key question for many cast members in interviews leading up to the movie. Lord and Miller were ultimately replaced by Oscar winner Ron Howard and went on to earn executive producer credits on the film, but the move left many fans with a bad taste in their mouth about the movie from the start. Although the behind-the-scenes turmoil doesn't seem to show in the final product, which underwent months of expensive reshoots, it did bring the film more bad press than it needed and potentially turned some fans off. Reviews certainly could have been worse for Solo, which earned a 70 percent on Rotten Tomatoes. However, with all of the doubts and negative press surrounding the film, stellar reviews would have been a big boon. Hurting the film more is the fact that these reviews mark the worst critical ratings in the Rotten Tomatoes age, held up against a 93 percent for The Force Awakens, an 85 percent for Rogue One, and a 91 percent for The Last Jedi. The reasons some critics weren't in Solo's favor also may have contributed to a lackluster opening weekend. While many critics said that the film was entertaining, they also said that it covered old ground and didn't bring anything new or different to the franchise. Worse, some critics called it inessential. Hearing this doesn't exactly inspire rushing out to buy a ticket over opening weekend, and with Star Wars films hitting streaming services a few months after their release, some fans may be more content to stay home and wait. Word of mouth is important for every movie, even a Star Wars movie, and Solo may not have the strongest. The film earned the same CinemaScore as the oft-maligned Star Wars prequels with an A-, as compared to an A for The Force Awakens, Rogue One, and The Last Jedi. The movie also falls below The Force Awakens and Rogue One on Rotten Tomatoes' audience scoring metric, earning a 60 percent. Also potentially hurting Solo's word of mouth was the negative buzz that plagued The Last Jedi. That film, which holds a 46 percent Rotten Tomatoes audience score, was controversial among some fans for the way it handled the events of the original trilogy and the things set up in The Force Awakens. 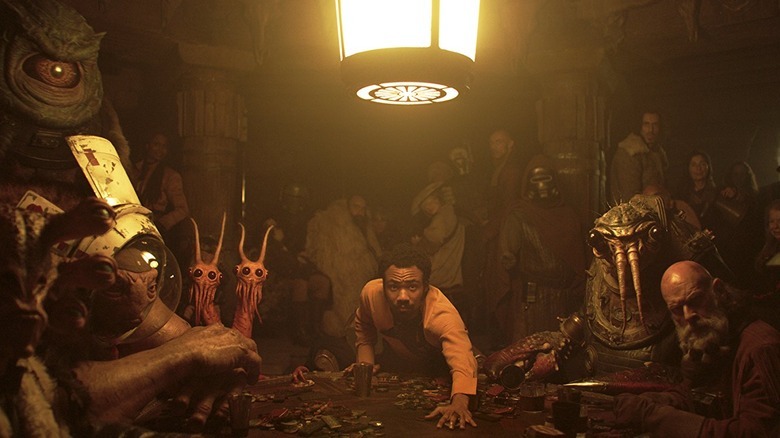 While it's tough to say if this affected Solo, it could have contributed to franchise fatigue and made it harder for the film to find a reliable audience. Fan reaction will really be seen in how the film legs out over the summer, but the fact that it fell throughout the weekend suggests that word of mouth is not on Solo's side. Memorial Day weekend used to be the reliable start of the summer box office, but its grosses have been on a downward spiral in recent years. The last time the weekend offered up a $100 million-plus opener was in 2014, when X-Men: Days of Future Past opened to $110.5 million. More recent offerings like Pirates of the Caribbean: Dead Men Tell No Tales, Baywatch, X-Men: Apocalypse, and Tomorrowland disappointed in their first weekends, setting off disappointing summers. While big movies like Jurassic World: Fallen Kingdom and The Incredibles 2 are likely to save this summer from being a complete disaster, Solo seems to have gotten stuck in a frame that has been growing consistently worse in recent years. 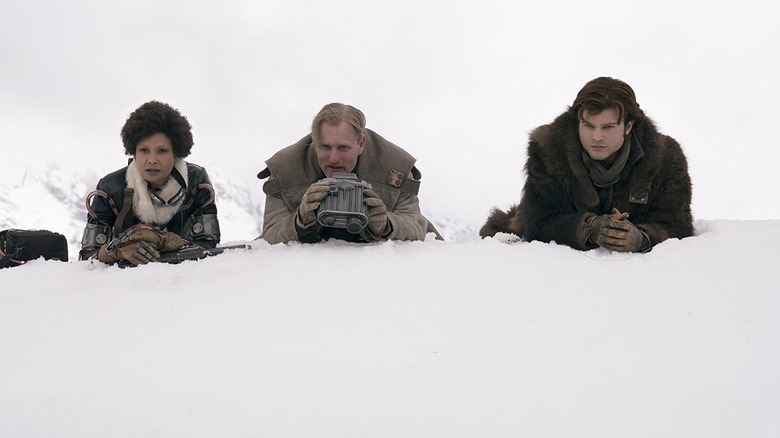 There are a few potential reasons for this — the general downturn of the U.S. box office, people going on vacations and enjoying the nice weather as opposed to heading to theaters, and a general tiring of big franchise films and sequels usually programmed for that week — all of which likely conspired to put Solo a bit below its holiday-opening predecessors. Most studios won't dare to program content against a Star Wars movie, and such was the case for Solo, which was the only major release during its opening weekend, a very rare thing for Memorial Day weekend. However, the film still faced stiff competition from the second weekend of Fox's Deadpool 2 and the fifth weekend of Marvel's Avengers: Infinity War. Deadpool 2 was actually initially set to come out the weekend after Solo, but Fox later moved the release date up two weeks so that it hit theaters the weekend before. Although the movie had a slightly underwhelming opening weekend that failed to top its predecessor, it still did massive business at the box office thanks to positive reviews and a loyal fan base. Infinity War, meanwhile, has been breaking box office records left and right, and although there was quite a lot of space between its release and Solo's, it was still a big box office draw. 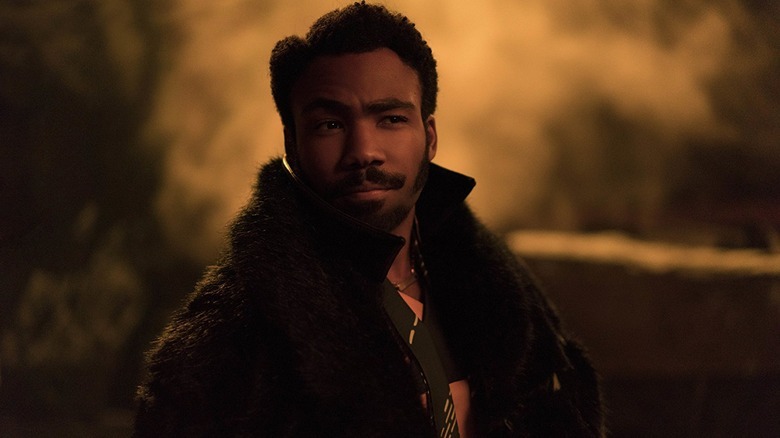 While Solo still managed to easily top both films for first place at the box office, they still could have impacted its performance. The release of The Force Awakens, the first Star Wars movie to hit theaters in 10 years, was a big deal. The talk around the film made it impossible to miss opening weekend, which might be why it was able to nab what was, at the time, the biggest opening weekend gross of all time. The Last Jedi, the second in the new trilogy, also benefitted from that fan excitement, making it into an event film. Solo, though, isn't that. The film's release, as we've already mentioned, came just a few months after The Last Jedi's, and there was nothing about it suggesting that it was anything hugely special or a must-see. When you hold that up against recent releases like Black Panther and Avengers: Infinity War, or upcoming releases like the long-awaited sequel The Incredibles 2, it's easy to see why fans decided to skip the movie's opening weekend. Without the benefit of feeling like an event in and of itself, Solo hit the same blockades as many movies have been hitting at the box office, where peak TV and other entertainment options have taken away many ticket buyers. There is no Memorial Day weekend equivalent in other countries, so movies arriving in theaters that weekend in the U.S. generally have to rely on the regular three-day gross elsewhere. While big movies have still been able to see a profit that way, Solo doesn't seem to be resonating with international audiences, taking in a depressing $65 million overseas after releasing in all major territories except Japan. The movie did the best in the United Kingdom with $10.3 million, followed by $10.1 million in China. (Star Wars movies don't generally do well in China, where the original films never received a wide theatrical release.) It had a meager showing in other countries as well, hinting that word of mouth and audience interest wasn't strong around the world either. With an already large budget pushed higher by the movie's reshoots, international profits were important for Solo, but it doesn't look like Lucasfilm will be able to turn there for relief if it continues to flop domestically. Solo is the second Star Wars standalone film, and it's still very early in the company's foray into non-trilogy films in a galaxy far, far away. Their first attempt, Rogue One, also struggled behind the scenes with expensive and widely publicized reshoots, but that film managed to bounce back and have an impressive $155 million opening weekend ahead of a just over $1 billion global gross. That set high expectations for the Star Wars standalone films, and it automatically had people primed to think that Solo could also be a record-breaking box office behemoth. However, those expectations may have been just too lofty. 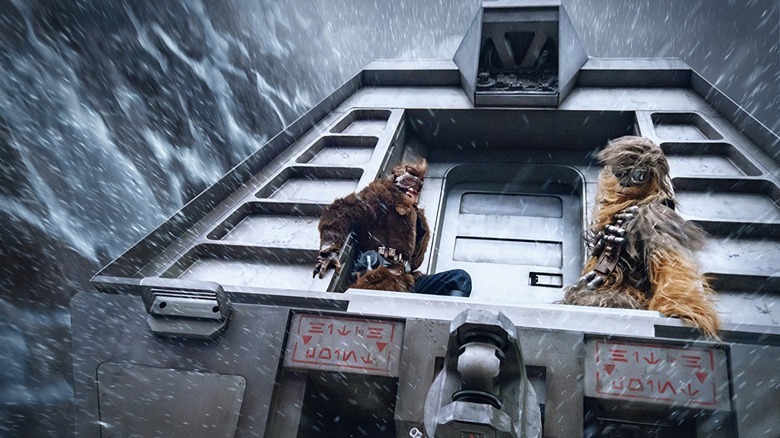 A $103 million opening weekend is nothing to scoff at, and the number only seems bad when held up against the initially enormous $170 million tracking numbers Solo was putting up. Although Solo is in a class of its own with Star Wars standalone films, needing to make a bit more to recoup a budget inflated by reshoots, other Star Wars standalones would likely be fine with this type of opening. Perhaps the movie's performance will cause Lucasfilm and other analysts to reevaluate the box office prospects of future standalones, expecting them to do well without counting on all of them to be record breakers.